Check out Tobi's Showcase Cut Out Crop Top Show some in the Showcase Cut Out Crop Top. 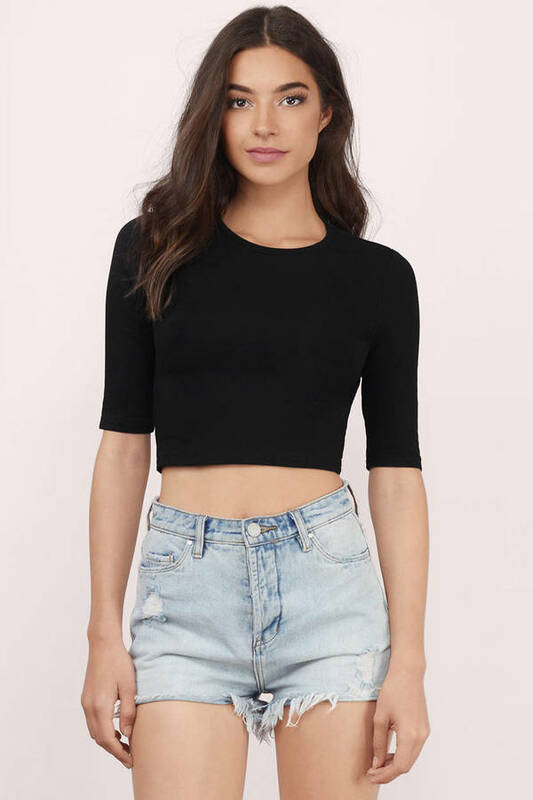 Crop top with elbow length sleeves and back cut out with a crew neckline. Wear with a midi skirt or with ripped skinnies. Show some in the Showcase Cut Out Crop Top. 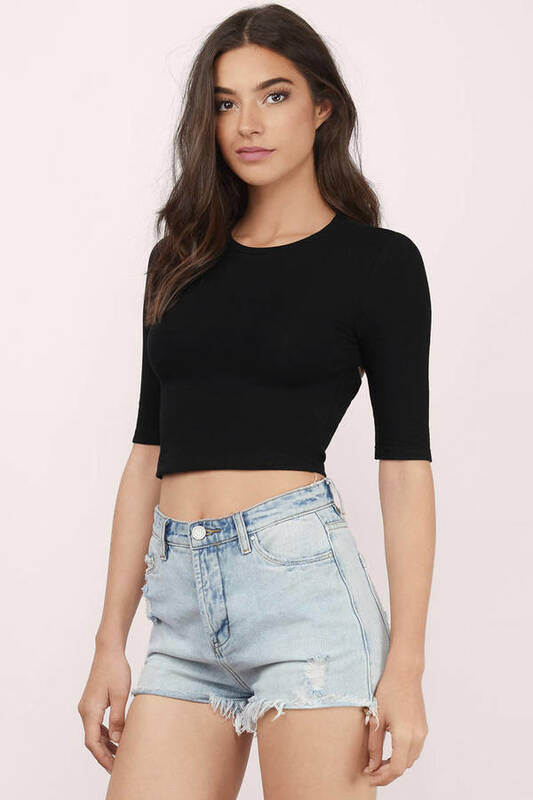 Crop top with elbow length sleeves and back cut out with a crew neckline. Wear with a midi skirt or with ripped skinnies.